(L-R) Wisconsin 4-H Foundation President Linda Funk, WLC Member Jasmine Brown (Rock County), and Dean and Director of UW-Extension Karl Martin. The Wisconsin 4-H Foundation announced today that GreenStone Farm Credit Services was honored as a major partner and contributor at the 2017 Wisconsin 4-H Hall of Fame Gala. 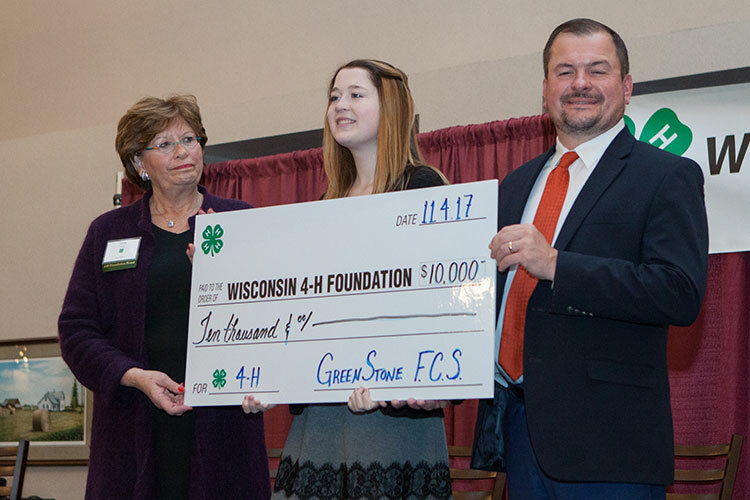 “GreenStone understands the importance of organizations, such as the Wisconsin 4-H Foundation, who are dedicated to advancing agriculture,” says GreenStone President and CEO, Dave Armstrong. “The future of our industry resides in the youth of today, and GreenStone is pleased to support such programs that are focused on developing agriculture’s next generation of leaders." GreenStone provides financial services to the agricultural industry and lending products for the purchase, improvement, construction or refinance of residences along with financing future home sites and recreational land. You can find out more about GreenStone FCS at their website, www.greenstonefcs.com. Nearly 150,000 youth participate in the Wisconsin 4-H program, with the majority hailing from urban areas of the state. 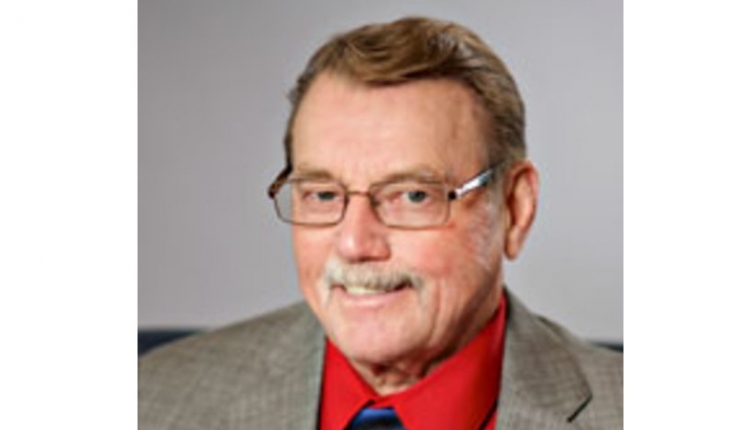 More than 22,000 volunteers support the program. GreenStone FCS helps support all their efforts. Since 1914, Wisconsin 4-H has helped young people develop the skills they need to meet the demands of our complex and ever-changing world. 4-H has grown from a rich history of agricultural clubs that helped the University of Wisconsin-Extension connect families to research-based advancements in farming technology and techniques. Today’s 4-H still boasts strong programs in agriculture and animal science and has grown to include science, leadership, healthy living and communications programming that will help Wisconsin youth build a healthier and more prosperous future. The Wisconsin 4-H Foundation, based in Madison, Wisconsin, provides essential funding for 4-H programs throughout Wisconsin. By partnering with individuals, corporations and foundations, the Foundation supports the nearly 150,000 youth who take part in various 4-H leadership, developments, and community-building activities throughout the state. Learn more about the Wisconsin 4-H Foundation by visiting www.Wis4HFoundation.org.